Beer is a kind of beverage that is made from grains either barley or wheat. Grains play a very important role in the brewing process. There are many types of beer that heavily rely to the use of wheat. Beers that are made from wheat offer you specific flavors and characteristics as well. Some of them might have a heavy color after the brewing process but those with barley will provides you a dark heavier body. Wheat beers can range from light and refreshing summer quenches such as witbier or a weissbier to a caramel weizenbocks and dunkelweizen. 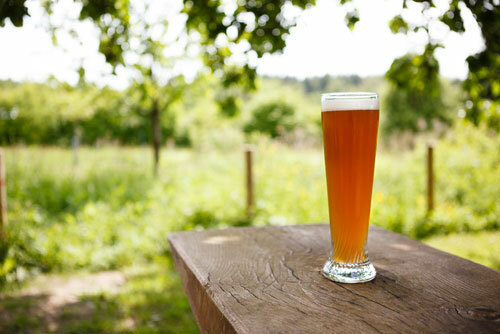 Having differences in color, German and Belgian wheat beers have similarities including the little sweetness, fermentation before bottling, aroma, low hop flavor, and dry finish. American wheat beers do not have a second fermentation because they are afraid of aggressive hopping. So when you want to cool down your summer, you need a clean, fruity and tasty bottle of beer and a beach vacation. Here are the seven wheat beers you will enjoy to drink during the summer. Sierra Nevada Kellerweis. Hefeweizen Kellerweis wheat beer is very fantastic that is packed from a layer of lemon on the top of floral notes and banana. It looks like a little bit hazy but it will not let you be intimidated. This kind of beer has a raging flavor that is perfect to the midafternoon of snacks when the heat is just spiking. Weihenstephaner Hefeweissbeir. This is a German classic wheat beer that has an unwieldy name but very much suited to the American Palate. It is the right choice to enjoy your zesty cloves, luscious fruit, beach-ready bananas and a solid wheat backdrop. It has a good fragrant of foam and all you need to do is enjoy the aroma that is being offered by this wheat beer. Harpoon UFO White. It is a spicy wheat beer that is brewed together with an orange and a coriander. This is a tasteful and very luscious citrus having the touch of cinnamon and vanilla. The mouth feel of this creamy wheat beer has a sufficient yeastiness that reminding you of a true wheaten base. Lancaster Strawberry Wheat. This beer is sweet but isn’t quite as dessert sweetness. This is recommended to those with sweet tooth. Schneider Weisse Original. It is better to a typical wheat beer because it is a classic type in German. You will enjoy the good kick from spice of it, bananas and it’s citrus. It is the best for you. Ommegang Witte. It is a super type of wheat beer for having a velvety and gentle Ommegang Witte taste that is similar to a powdered coated sugar lemon with whole grain toasted with honey that brings luxurious. It is good for liquid food and capping. Hell or high watermelon. It is a canned wheat beer that keeps up the notch of a mouthwatering goodness from watermelon. So when the sun start shining and your grill is on, thirsty will come and you need some refreshment such as a wheat beer. Having wheat beer on your side, juiciness and spice will be easy going.